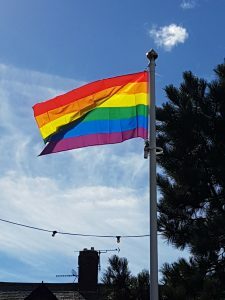 After receiving a request from Cumbria Pride, Silloth-on-Solway Town Council are helping celebrate 40 years of the pride flag, by raising a flag on Silloth Green, along with 40 or more other towns, villages, businesses and organisations in Cumbria, to show support for Cumbria’s diverse community and help promote unity and acceptance. Silloth-on-Solway Town Council aims to create a culture that respects and values each others’ differences, that promotes dignity, equality and diversity. We aim to remove barriers, bias or discrimination that prevent individuals or groups from realising their potential and contributing fully to the community to develop a culture that positively values diversity.